Dice half of the carrots. Fry in half the butter with a pinch of salt and a pinch of sugar until caramelized. Put aside. Finely chop the rest of the carrots. Fry in the rest of the butter for a few minutes with a pinch of salt and a pinch of sugar. Add the stock, cover and cook until the carrots are soft. Liquidize. Put the mussels in a pan with the wine and garlic. Place over a high heat until the mussels have opened. Shell the mussels. Strain the cooking liquid and reserve. Reheat the carrot purée. Add the mussels and their cooking liquid and the diced carrots. Served with the chopped parsley sprinkled over each portion. Minestra di ceci from Matera. A few weeks ago some friends and I visited the beautiful town of Matera in Basilicata. After a very pleasant morning sightseeing we visited a restaurant that had been recommended in the ‘Slow Food’ guide – ‘Le Botteghe’ in Piazza San Pietro Barisano. 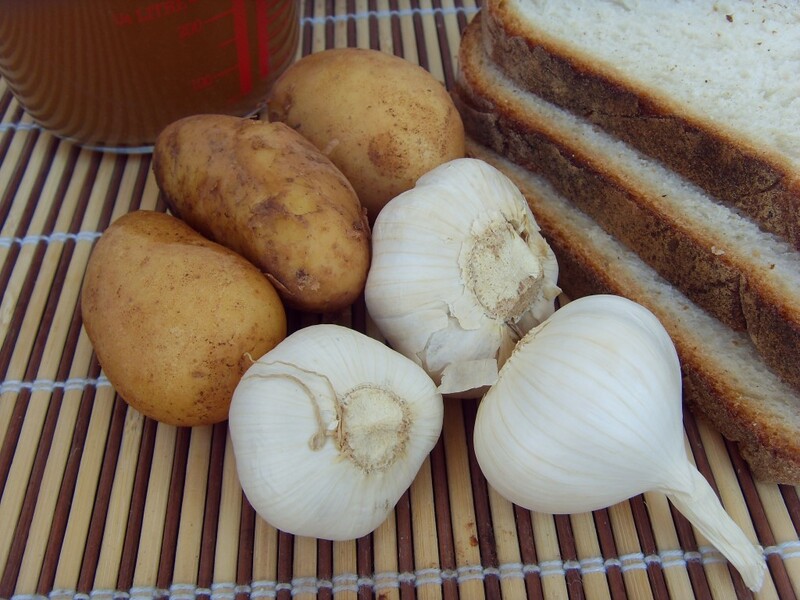 Wonderful simple food. This is my attempt to recreate one of their specialities. Fry the pancetta and garlic cloves in a little olive oil for a few minutes. Add the chickpeas together with a litre of water and bring to the boil. Add the rosemary, cover and cook over a moderate heat for around 2 hours. Remove the rosemary and season with salt and pepper. Add the taglietelle and cook for a further few minutes. This dish is sometimes served topped with fried breadcrumbs. 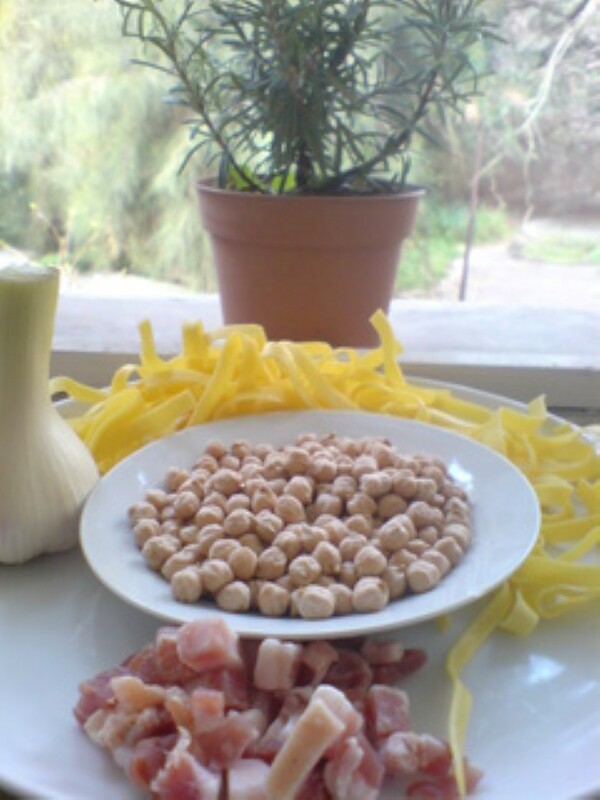 Variation: When the chickpeas are cooked remove half the chickpeas, liquidize them and return them to the soup. 600g scorpion fish (or any other firm white fish – we used hake), cleaned and definned. 350g squid, cleaned and cut into pieces. 150g cuttlefish, cleaned and cut into pieces. 300g mussels, cleaned and debearded. 300g tomatoes, peeled, deseeded and chopped. 1 stick celery, finely chopped. 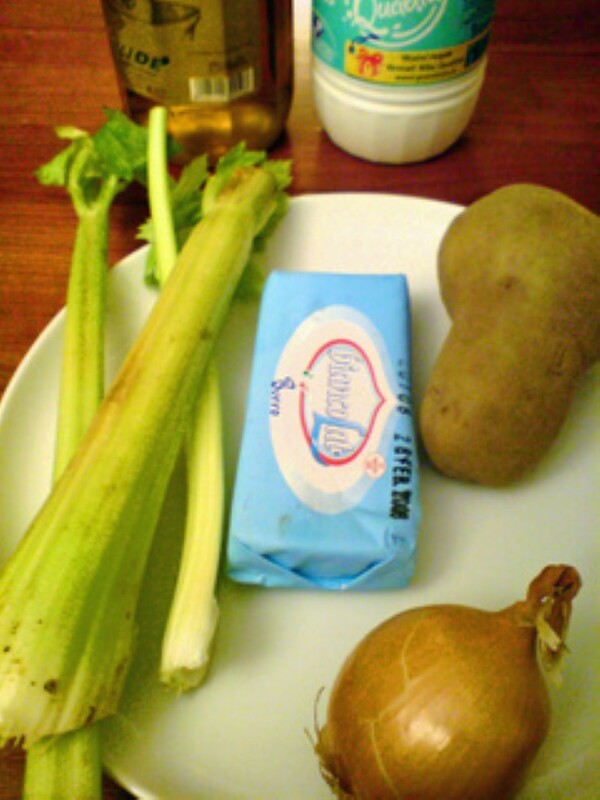 Soften the onion and celery in a large pan. Add the tomatoes and cook for a few minutes until the start to break down and form a sauce. 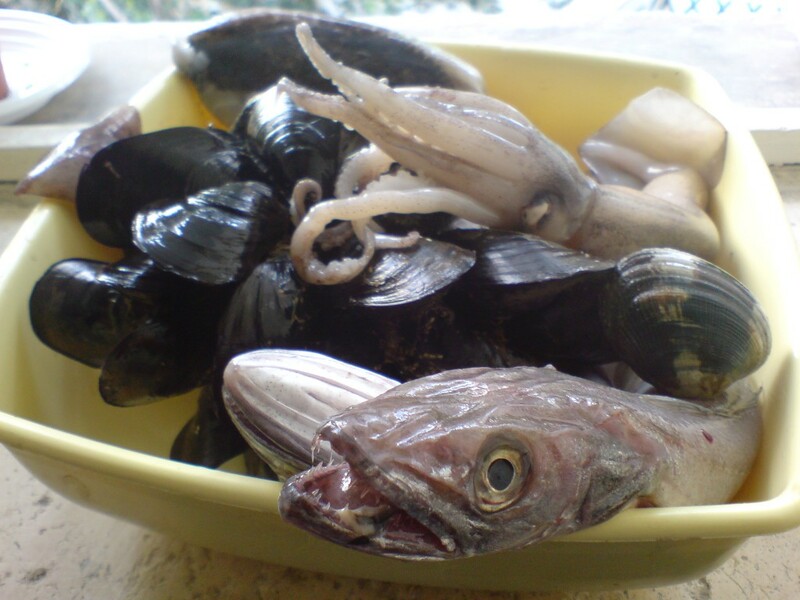 Add the squid and cuttlefish and cook until they start to become tender – 10-20 minutes. 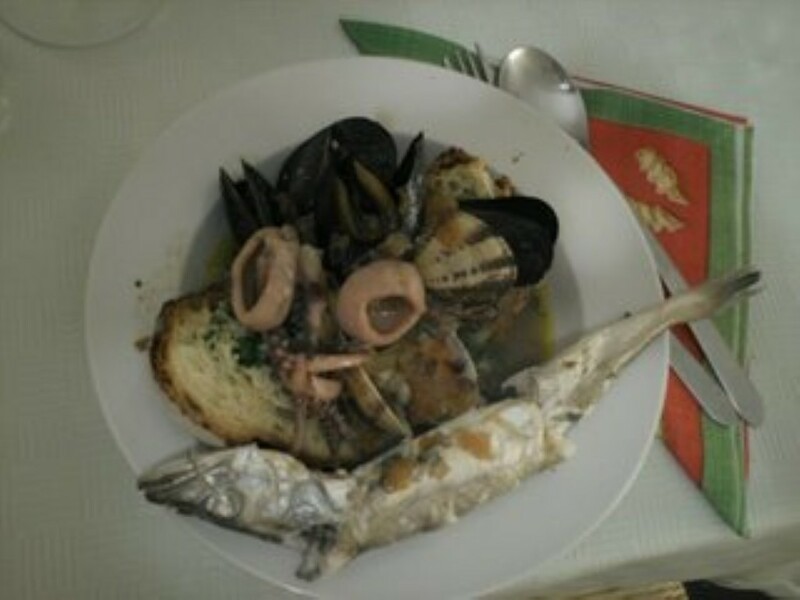 Add the mussels, clams and chilli, stir and then lay the fish on top. Cover and cook over a low heat until the fish sarts to flake (check from time to time with a fork). 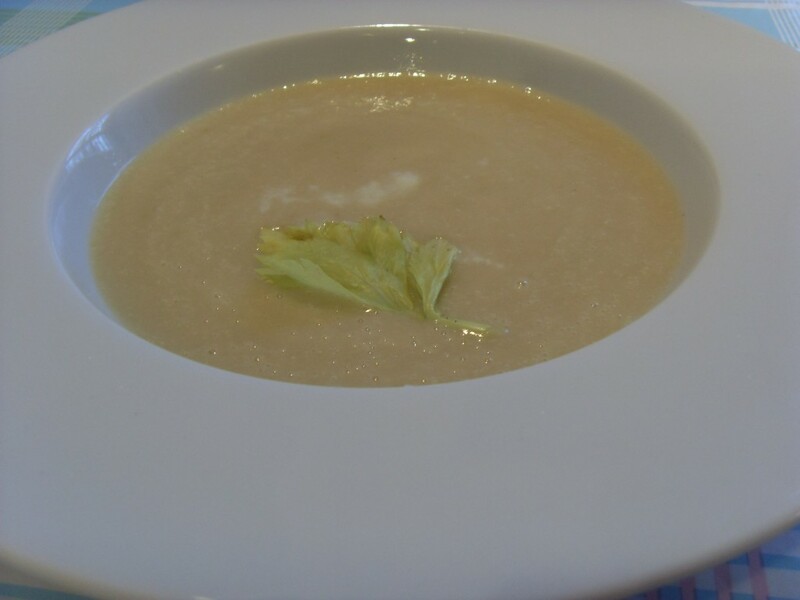 To serve, place a slice of bread in the bottom of a bowl, sprinkle on a little garlic and parsley and spoon the soup on top. Heat a little olive oli in a saucepan and fry the carrot, onion and celery over a medium until the onion softens – about 5 minutes. Drain the pulses and add to the pan. Add the stock and bring to the boil. Turn the heat down low and cook until the beans are tender – 1 – 1.5 hours. Just before you are ready to serve, add the pancake triangles and season with salt. 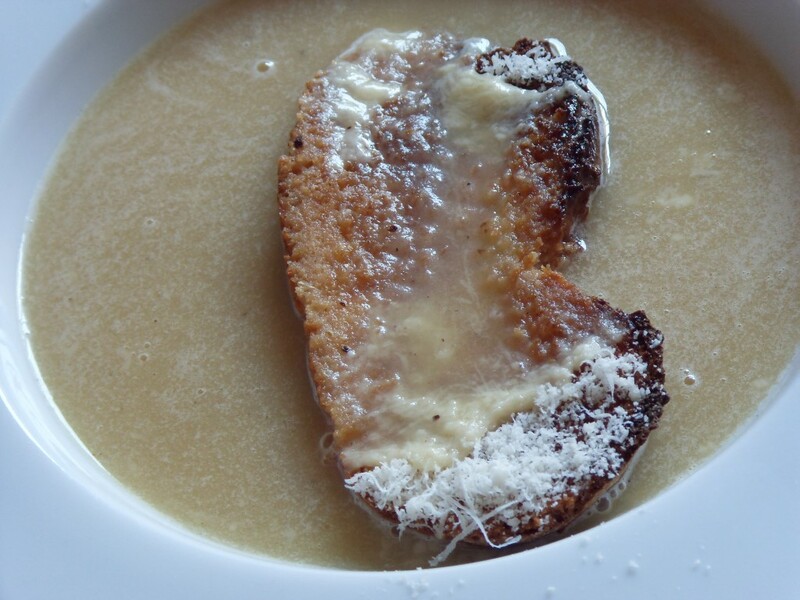 Serve with fresh, crusty bread. Note: If You don’t have time to make homemade stock, use water. Don’t on any account use stock cubes as the beans will take an age to cook and will not taste anywhere near as nice. As it’s so important to use good stock, I thought I’d include a recipe. Put the chicken carcasses into a stockpot, cover with 2½ litres water and bring to the boil. Using a large metal spoon, skim off any white scum from the surface. Add the vegetables, parsley and garlic to the pan. Return to the boil, then reduce the heat to a gentle simmer. Cook uncovered for 2½ hours, skimming occasionally. Strain the stock through a colander lined with wet muslin into a large, heatproof bowl. Discard all the debris. Reduce the stock for a stronger flavour, if desired. Cool, chill and use the stock within 3 days or freeze in portions. I reduce the stock as much as I can, and then pour it into ice cube trays.